In the Pocket shows just keep getting better … and seemingly more fun for both the band members and the audience. 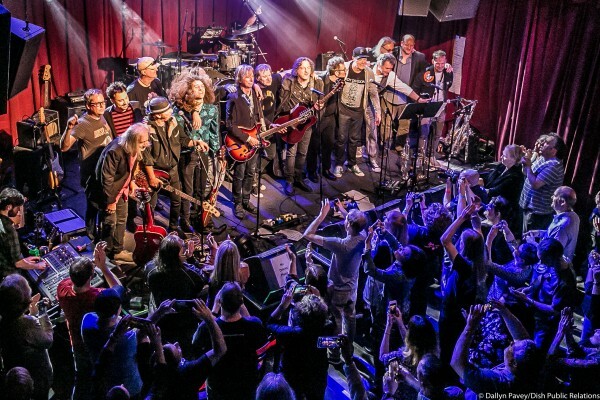 Saturday night’s two-and-a-half-hour, 29-song marathon at a packed Ardmore Music Hall was “Nothin’ But a House Party” — a rollicking evening of Philly-born classics (and a few favorites that originated elsewhere) performed by a staggering collection of local talent. The project that David Uosikkinen and his now-wife Dallyn Pavey Uosikkinen started nearly a decade ago is, as corny as this might sound, a giant love-fest among like-minded musicians and fans, but it’s also, always, a great night of music and memories (as captured in this photo by Lisa DiStefano). 1. Kicking off the show with a set from charismatic young singer/guitarist (and bassist!) Joey DiTullio is an inspired choice. It assures the energy level is soaring right from the start. Also, his hair should be recognized as its own member of the band. I swear, that thing defies all laws of gravity. 2. Speaking of young and charismatic, great performance of “One of Us” by Alexis Cunningham. More of her next time, please. 6. Much has been made, deservedly so, of Cliff Hillis II‘s spot-on vocals on Todd Rundgren’s “I Saw the Light.” He nails it every single time. But equally key to ITP’s brilliant version of the song is the guitar interplay between Steve Butler and Greg Davis. As David said during a recent episode of the “In the Pocket” podcast, that’s like some Clapton-Allman work right there. 7. Greg Davis performing “It’s Good To Be the King” is always a highlight of the night. But equally special was him delivering late Beru Revue bandmate’s Gerry Healy’s killer arrangement of “Moon River,” with enthusiastic support from David, Joey DiTullio, Buddy Cash and Wally Smith. It was one of the night’s emotional high points. 8. “It never gets old,” Greg Davis said of the Soul Survivors’ “Expressway to Your Heart.” “Yeah, but I do,” replied Charlie Ingui. Bull! I am convinced Mr. Ingui is truly ageless, at least judging by another inspired performance of the song he and his late brother Richie made famous 52 years ago. I loved how Ingui was directing the other musicians onstage during the song’s extended outro. Also, kudos to him for pointing out that “Ain’t Nothing But a Houseparty” was originally done by the Philly soul group The Showstoppers. For the longest time, I only knew the J. Geils version and was unaware of the song’s Philly roots. 9. One of the biggest crimes in Philly music history is that the band The American Dream never became bigger. Thank you to founding member Don Lee Van Winkle and In the Pocket for keeping the music alive with their boisterous version of the blues footstomper “My Babe” from The American Dream’s one-and-only album (RIP Nicky Indelicato). 10. The most magical moment of In the Pocket’s show at the Keswick Theatre back on Dec. 28 might have been when former Hooters bassist Andy King joined the collective for the first time. None of the magic was lost when King came back for Round 2 at the Ardmore on Saturday. 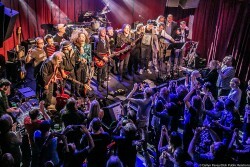 His lead vocals on “Streets of Philadelphia” (complete with some extended audience participation) and “Lucy in the Sky With Diamonds” (which he used to sing with the Hooters, although, as King pointed out, ITP performed the Beatles’ version, not the Hooters’), were once again among the most stirring moments of the night. 11. It was a nice surprise to hear Ben Arnold sing lead on “Time After Time,” one of, if I counted correctly, eight songs the band performed Saturday night that they didn’t play at the Keswick. 12. Hey, Reuben Frank, try to show a little enthusiasm on the keyboards next time, would you? It was great to see you up there during Arnold’s version of “Change Reaction,” even if it did deny Wally Smith the honor of joining David as the only performer to never leave the stage. 13. I mentioned earlier that Charlie Ingui never ages. Neither, it seems, does Richard Bush, who perfectly inhabited the role of the love-struck young punk during the Dead Milkmen’s “Punk Rock Girl.” Assisted, of course, by the equally ageless Tommy Conwell. 14. Most of the songs on the setlist originated in Philly. Some, like “Sunny Afternoon,” “Lucy” and Winkle’s lead on “(What’s So Funny ‘Bout) Peace Love and Understanding” came from across the pond, but are songs that influenced the ITP performers. Also on that list: Bowie’s “Suffragette City” — and ITP’s version, with Bush on lead vocals, absolutely slayed on Saturday night. David said it was one of the band’s favorite songs to play, and you could tell. 16. Loved Tommy’s battle with the temperamental mic stand during “Here I Come.” Ever the professional, he didn’t miss a note on guitar (although it did cost him a line of the song). 17. A quick shout-out to the horn players, David Kershner and Jim Verdeur, who definitely added to the overall musical experience (and who seemed to be singing along when they weren’t playing). 18. “And We Danced,” with Tommy Conwell and Andy King sharing lead vocals, is a perfect way to end the regular set. The audience knows every word, it’s a bonafide crowd-pleaser, and it’s a throwback to David’s “day job” in the Hooters. In the Pocket’s version is a lot less polished than the Hooters’ version, but that’s a good thing — it adds to the loose, anything-goes feel of the evening. And David and the guys arranged a killer finish to the song. 19. Pierre Robert pulled a Robert DeNiro before bringing the band back for the encore (“F— Donald Trump.”) It was a bit jarring and might have annoyed some of the people in the crowd. Didn’t bother me. 20. The night ended, as it did at the Keswick, with Ben Arnold fronting most of the ensemble on the Youngbloods’ “Get Together.” There’s a Philly-area connection to the song — Youngbloods singer Jesse Colin Young went to Pennsbury High School — but it’s the overall message that makes this a perfect closer to an In the Pocket show. The bond among the performers and audience members is palpable, as is the love in the room. The stage was a little tight for everybody to be up there at once, but they managed to pull it off. Can’t imagine anyone went home Saturday night disappointed. David and Dallyn, all of the musicians and everybody involved in In the Pocket deserve nothing but praise for bringing so much joy to so many people through the power of music. David Uosikkinen’s loving, living and breathing curation of the best of Philadelphia rock and soul continues its impeccable run. 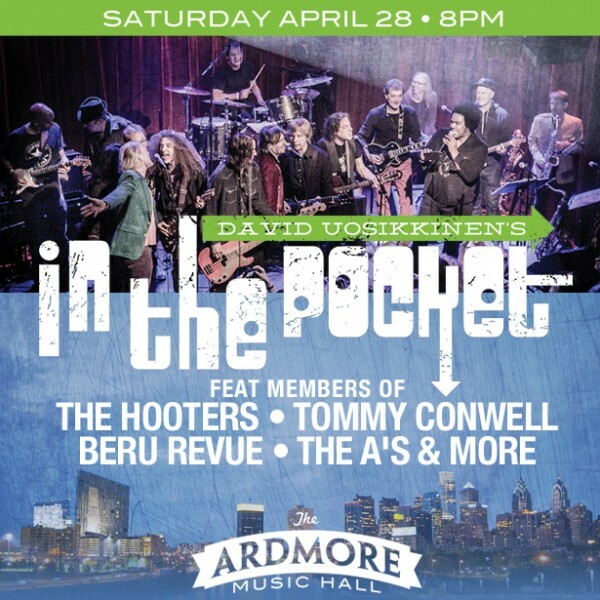 “Live at the Keswick Theatre,” a new live album by his rotating Delaware Valley supergroup In the Pocket — culled from the 23 songs played during a December 2018 show that coincided with the Keswick’s 90th birthday — is out just in time for yet another In the Pocket show April 6 at Ardmore Music Hall. Shelter Me: Joey Ditullio sings the bluesy final top 40 entry/MTV rotation video by glam metal outfit Cinderella. Be My Baby: Zou Zou Mansour of Soraia brings the soul that’s essential to pull off The Ronettes’ smash hit, originally released on Phil Spector’s Philadelphia-based record label Phillies Records. My Mistake: Three members of Smash Palace were in the house. I Saw the Light: Cliff Hillis convincingly channels Todd Rundgren on Rundgren’s top 20 hit from 1972. It’s Good to be the King: A Beru Revue fan favorite song, that band’s guitarist, Greg Davis, is a regular contributor to In the Pocket. “He was calm that night. He was medium-Kweder that night,” Uosikkinen said of Kweder’s flair for the unpredictable. (Ain’t Nothin’ but a) House Party: Perhaps best known from its version by The J. Geils Band, this song was recorded by a Philadelphia group called The Show Stoppers, and was a staple for Philadelphia Music Walk of Famers The Soul Survivors. “It’s a song a lot of blues guys would do,” Uosikkinen said. My Babe: The Righteous Brothers song was recorded by Philly rock group The American Dream on their 1970 album. American Dream’s Don Van Winkle was part of the In the Pocket lineup that night. 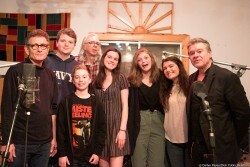 (What’s So Funny ‘Bout) Peace, Love and Understanding: Van Winkle and Jeffrey Gaines (a surprise addition to In the Pocket that night, Uosikkinen said) are the featured singers on the Nick Lowe cover song. According to Uosikkinen, it is a song that most of the performers that were at the Keswick had in their repertoire. Streets of Philadelphia: Hooters alumnus (and sometimes Tommy Conwell collaborator) Andy King confesses mid-performance that Bruce Springsteen’s li-li-li background vocals are his favorite part of the song because of their prayer-like quality, and leads a sing-along. Lucy in the Sky with Diamonds: The Hooters performed The Beatles song at the 1986 Conspiracy of Hope Amnesty International concert at Giants Stadium. One live Hooters recording of “Lucy” even saw the light of day as a B-side. Escalator of Life: Robert Hazard’s dark take on 1980s consumerism is one of the many essential Philly songs David Uoskinnen’s In the Pocket has revisited in formal studio recordings. Richard Bush, who was in The A’s at the same time Hazard’s star was rising in the early ’80s, stands in for Hazard, who passed away in 2008. Here I Come: The opening track on Tommy Conwell and the Young Rumblers’ regionally-released debut album from 1986, it’s a reminder of the electricity that made that band one of the top live acts around here in the latter half of the ’80s, and paved the way to a Columbia Records contract. And We Danced: In-the-Pocket-regular Conwell singing The Hooters’ 1985 hit is a perfect snapshot of ’80s Philly star power. Get Together: Ben Arnold steps on stage to sing the 1969 hit — which it turns out, has an area connection. Youngbloods lead singer and bassist Jesse Colin Young attended Pennsbury High School. 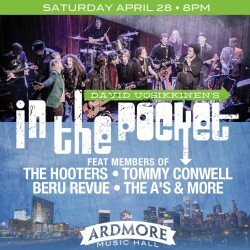 The scheduled In the Pocket lineup for the upcoming show: David Uosikkinen; Kenny Aaronson (Joan Jett, The Yardbirds, Bob Dylan); Ben Arnold; Richard Bush; Steve Butler (Smash Palace); Buddy Cash; Tommy Conwell; Alexis Cunningham; Greg Davis (Beru Revue); Pete Donnelly (The Figgs, NRBQ); Cliff Hillis; Charlie Ingui (The Soul Survivors); Andy King; Wally Smith (Smash Palace, Crosstown Traffic); Don Van Winkle (The American Dream); David Kershner and Jim Verdeur. The “Live at the Keswick Theatre” album will be available for sale, and is also available for pre-order at www.songsinthepocket.com. A Levittown native, Uosikkinen said The Hooters’ back history with Ardmore Music Hall goes back to the days when it was known as the 23 East Cabaret. “My manager used to reprimand me upstairs (in his office at 23 E. Lancaster Ave.),” he said. 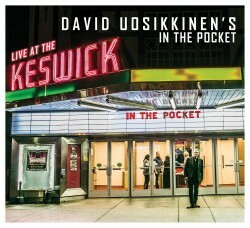 David Uosikkinen’s In The Pocket will celebrate the release of their new live CD on Saturday, April 6th at the Ardmore Music Hall. The 15-song recording was captured this past December 28th at the historic Keswick Theatre in Glenside. Uosikkinen’s live show is non-stop rockin’ revue that includes members of Philly’s premiere musicians, like members of The Hooters, Soul Survivors, The A’s, Tommy Conwell & The Young rumblers, Beru Revue and more! David Uosikkinen’s In The Pocket: Live at The Keswick Theatre will be available for purchase at the Ardmore Music Hall show on April 6th. But, you can pre-order it now at songsinthepocket.org, and get it before the show! 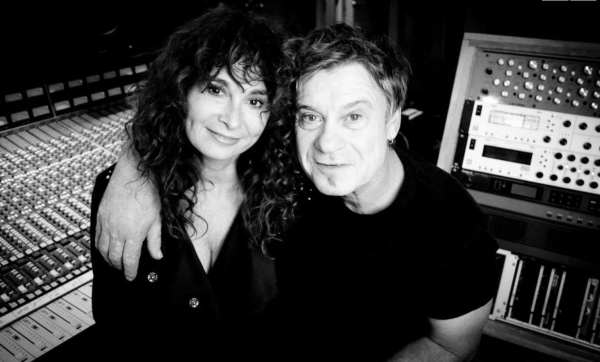 Uosikkinen is one of the founding members of Philadelphia’s own, The Hooters, who are celebrating 40 years together next year. 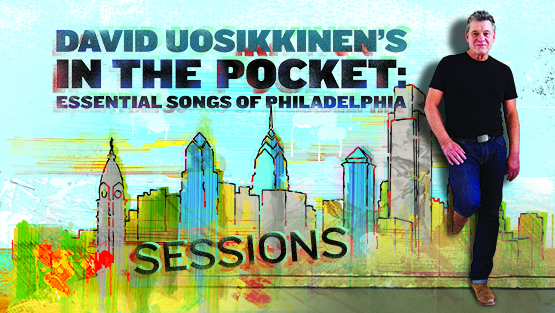 In 2010, David formed his own band, “David Uosikkinen’s In The Pocket” to showcase Philadelphia’s rich musical heritage with an all-star cast of Philly musicians. 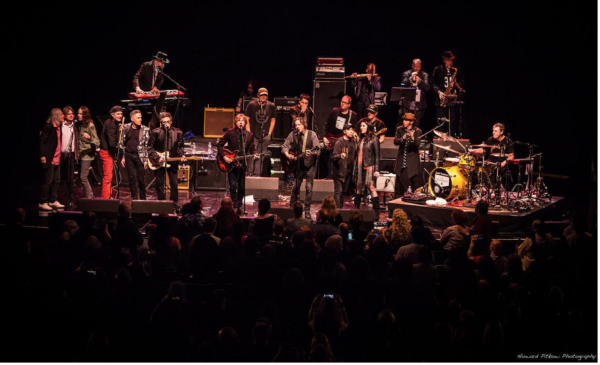 What once started as a six-piece jam at a small bar in Conshohocken has grown into a 20+ piece band gracing the stages of theaters and venues around the region. It is a a living, breathing celebration of Philly’s esteemed musical past. The Keswick Theatre originally opened its doors Christmas Day 1928. 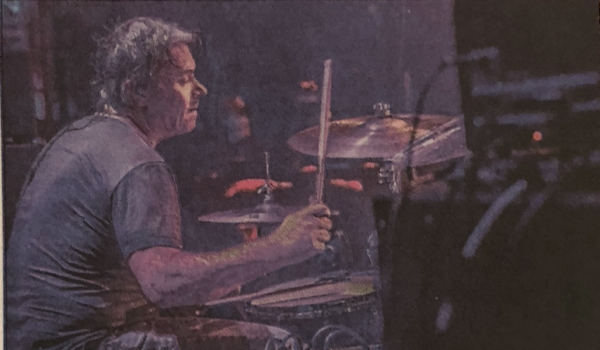 The 1,300-seat Glenside venue will kick off a year’s worth of special performances, beginning Friday night with Hooters drummer David Uosikkinen’s multi-genre solo project, In the Pocket. 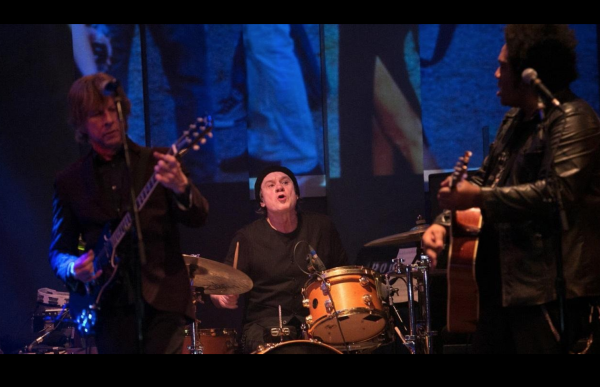 In the Pocket, formed by Hooters drummer and Levittown native David Uosikkinen, plays the Keswick Theatre on Friday as the Glenside venue celebrates its 90th birthday. Hooters drummer David Uosikkinen has added quite a curiosity to his living, growing “In the Pocket” playlist of quintessential Philadelphia songs. Helping Uosikkinen bring it back from obscurity with the new version were The American Dream’s Don Van Winkle on lead vocals (Van Winkle did not sing the lead on the original), Cyndi Lauper’s bassist William Wittman, guitarist Greg Davis of Beru Revue, Wally Smith of Smash Palace on keyboards; and Charlie Ingui of The Soul Survivors, Steve Butler of Smash Palace and singer/songwriters Skip Denenberg and Cliff Hillis on background vocals. 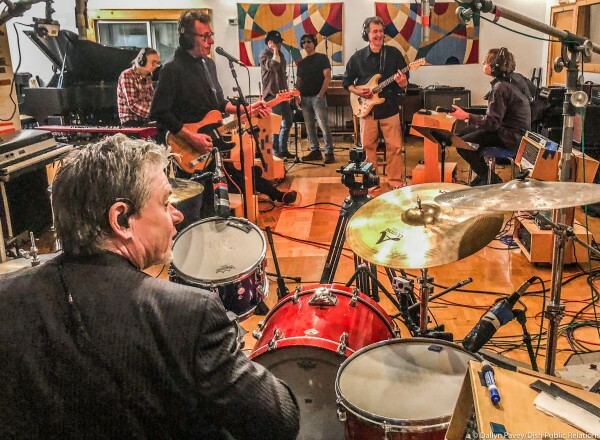 PHILADELPHIA (KYW Newsradio) — In the Pocket, a rock and roll revue led by the drummer for the Hooters, is celebrating the release of its latest “essential song of Philadelphia” with a concert next Saturday night. “Can’t Get to Heaven on the Frankford El” is neither deep nor beautiful, but it’s a fun, rowdy singalong, recorded around 1970 by Philly-based band The American Dream. 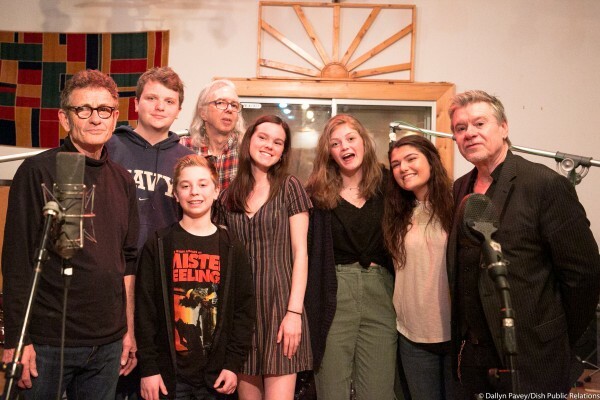 David Uosikinnen says this new version features the American Dream’s Don Van Winkle, and a chorus of kids from the School of Rock, who shared the studio with grown-up professionals. Robert Hazard. Todd Rundgren. The A’s. The American Dream. The Hooters. Hall and Oates. These are just some of the many artists whose songs are saluted in David Uosikkinen’s IN THE POCKET ongoing project. Heading into its 9th year, ITP showcases Philadelphia’s rich musical history by recreating songs that span genres and eras from the city’s heritage. You’ve gotta love his enthusiasm for the music and his drive and determination to bring it back into perspective. Listen to our interview then catch In the Pocket LIVE at Ardmore Music Hall on 4/28 and also at Hoagie Nation Festival 2018 5/26. In The Pocket: Taking The “Frankford El” To Ardmore! The American Dream’s “Frankford El” is as Philly as it gets, and directs interested ears to the earliest days of our city’s Rock scene, mine and David Uosikkinen’s included. His band, In The Pocket is at it again with their 18th recording of Philly faves! I’ve called Hooters drummer David Uosikkinen a lot in recent years, usually for all the wrong reasons. Because the gregarious Bristol Township native has played or shared ties with so many area musicians, he’s too often been my go-to interview when I’ve needed local reaction for in memoriam stories. But when I reached out to him this week, it had nothing to with the death of Tom Petty, even though I knew Uosikkinen was friends with Heartbreakers drummer Steve Ferrone. No, the reason for this call was entirely happy: the wedding of two people who have done as much as anybody to promote the Philadelphia music community over the last seven years.